Prof. Ajay Singh is working as Sr. Prof. in department of civil engineering at Roorkee Institute of Technology, Roorkee. He has a vast experience in teaching, research, building construction and waste management. •	Landslide control measures in Himalayan region. •	Rehabilitation of fly-ash ponds at NFL Panipat, Haryana and NTPC Badarpur, New Delhi. •	Augmentation capacity of fly-ash pond for HINDALCO thermal power plant at Renusagar (UP). •	Design of new fly-ash pond with zero percolation for HINDALCO thermal power plant at Renusagar (UP). •	Rock drilling and design of rock anchors for 300m high TV tower at Barmer, Rajasthan. •	Third party quality assurance of construction works for BHEL Haridwar. •	Non-destructive tests for assessing remaining life of the building structures etc. •	Waste water treatment using algae. •	Use of coal mill rejects as coarse aggregate in concrete. •	Development of concrete blocks with waste plastic bottles. •	Study of Self compacting concrete etc. He has published over 20 research papers in national and 12 in international journals. 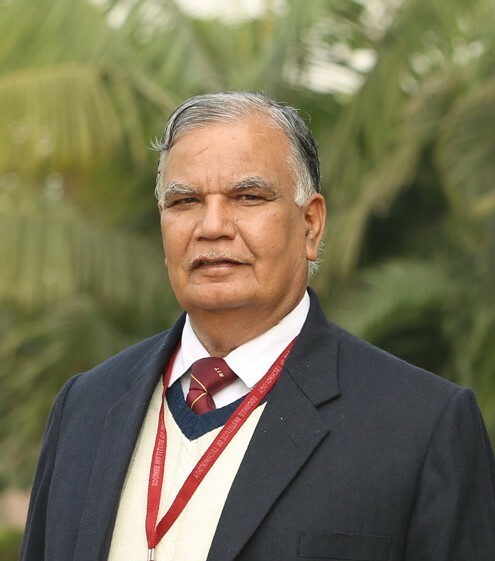 Recently he has been awarded a Life Time Achievement Award for his contribution in Civil Engineering by International Technological University, California, USA. Roorkee Institute of Technology is a platform for students to get prepared to face the challenges of the corporate world. The students are made to realize their ambitions by instilling in them the inquisitive nature and perseverance required to be innovative and collaborative. The Research and Development experience will complement your rigorous curriculum and make learning by doing much more fun than what you would expect. RIT is growing each passing year and every batch is highly talented and is in tune to serve the expectation of the technical sector. We live in an ever changing world and in order to keep up and stay ahead of the competition, we have a mounting responsibility to understand our own capabilities and identity while also being able to absorb the pressure and learn from every opportunity. One of the most effective ways to do this is to engage in continuous learning and taking action on what you learn with confidence. I am positive that the learning that you will get by the way of action introduced by RIT will not only help you to realize your true potential but also will be the most effective method of training and development in higher education. R&D is essential to the engineering industries and businesses of many major MNCs. We have all seen the rise of number of R&D centres in India and abroad and the continued investment in the future. Together we will advance RIT's mission to ensure that the college emerges as a leader in R&D. Many innovations have already been initiated at the institute. Innovative technologies make the future possible and RIT is at the forefront of this endeavour. Highly motivated faculty and specialist from industry work with students and software certification programmes “Spoken Tutorial” from IIT Bombay. We are also a local chapter for NPTEL for improvement in technical knowledge. We continue and learn to adapt through closed cooperation with national and international universities. If you are interested in doing research and developing your expertise please talk to your HOD or me directly. Our doors are always open.